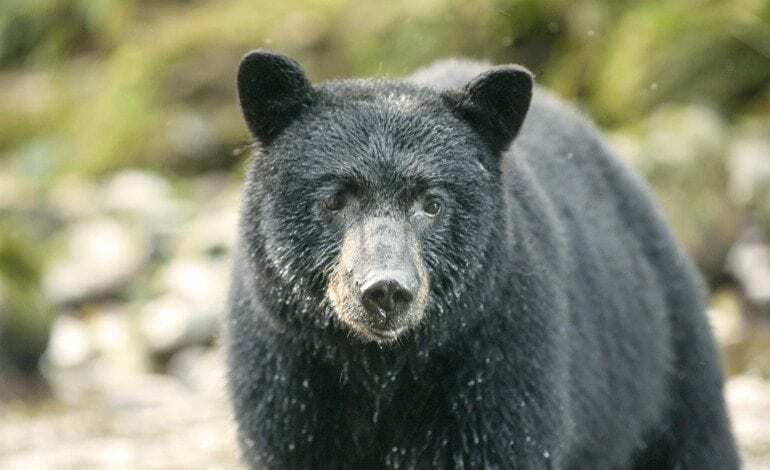 Provincial, territorial, federal and international laws provide strict trade regulations to protect against unlawful trade in black bears, both within Canada and internationally. A regulated harvest of black bears provides substantial economic and social/cultural benefits to local residents across Canada. More importantly, in the many areas where humans and black bears live in close proximity, a greater number of black bears are classified as ‘nuisance’, and must be controlled under government authorization. Regulating the density and distribution of bears contributes to safeguarding human welfare and property and helps to ensure crop, livestock and property protection. International criticism of regulated wildlife management programs for black bear and other abundant wild species does nothing to promote or improve conservation efforts. It is a false assumption that the hunting of black bears would stop if there were no market for bear pelts. Canada has effectively managed black bears under the sustainable resource management approach advocated by all international conservation agencies and conventions, including the IUCN (World Conservation Union). Canada fully supports conservation controls on international trade, such as those required under CITES (Convention on International Trade in Endangered Species of Wild Fauna and Flora). Although American black bears suffered habitat loss following European settlement, they currently occupy much of the available habitat and their numbers are stable or have increased across the species range over the last 20 years. Black bears are presently found in Mexico, 41 states of the United States, and all the provinces and territories of Canada except Prince Edward Island. There are an estimated 900,000 black bears in North America. In Canada, about 500,000 inhabit forested areas and have adapted to thrive in landscapes with some level of human activity. The black bear has been designated by the Committee on the Status of Endangered Wildlife in Canada (COSEWIC) in the “Not at Risk” category. All populations across the country are stable, or increasing. About 20,000 black bears are legally harvested in Canada annually, amounting to a maximum harvest of less than 5% of the population. Overall, the harvest level is within recommended harvest levels to maintain healthy populations in Canada. Most North American jurisdictions have invested tremendous amounts of human and financial resources to implement ‘Bear Smart’, ‘Bear Aware’ or ‘Bear Wise’ programs to educate people on what can be done to deter bears from associating people and dwellings with food. Yet, over 100,000 ‘nuisance’ black bear complaints have been lodged with government authorities in Canada in only four years. An estimated 65% of these incidents required some type of action to safeguard human welfare and property. In Canada, provincial and territorial governments regulate the management of wildlife species, including black bears. They are managed based on sound scientific and traditional knowledge to ensure long-term species conservation and to protect human health and safety. Regulations vary from one province/territory to another. Bears are hunted for the provision of social and economic benefits. Many licensed hunters use the meat and provide the pelt for human use. Bear hunting provides additional income to people living in rural communities, where economic opportunities are limited. The manufacturers of Royal Guards hats (Busby) generally obtain their furs from fur auction houses in Canada, which sell the bear hides on behalf of the hunters and trappers. In June 1992, the American black bear (Ursus americanus) was listed in Appendix II of CITES. That measure was taken not because its survival is threatened in North America, but as a ‘look-alike species’ to help protect other species of bears endangered in the world. An Appendix II listing under CITES means that Canadian imports and exports of live bears and/or their parts, products and derivatives require a CITES export permit from the exporting country. More than 160 countries, including Canada, are Parties to CITES. The Canadian Government’s Wild Animal and Plant Protection and Regulation of International and Interprovincial Trade Act was proclaimed in May 1996. It helps to prevent the poaching or smuggling of wildlife and their derivatives. The Act provides for fines of up to $150,000 for individuals and $300,000 for corporations, and jail terms of up to five years for anyone convicted of a violation. Black bear hides are legally exported under a CITES export permit, which can only be issued by provincial/territorial or federal CITES authorities. Should the trade in black bear hides ever be stopped, black bears would continue to be hunted in North America, as are many wildlife species in Europe and other parts of the world, for social and economic reasons, as well as in response to human health and safety and conservation concerns.